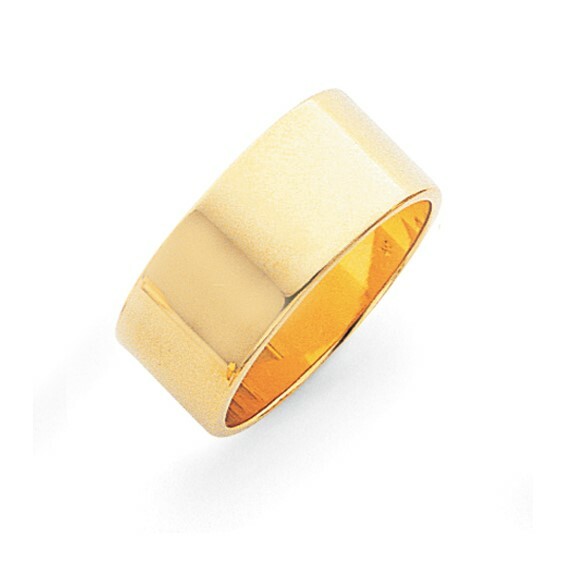 This flat wedding band is made of polished 14k yellow gold. Width: 10mm. Polished finish, flat center. Thickness: 1.2mm. A size 7 band weighs approximately 9.22 grams. Standard fit. Made in the USA.